Siren Chic: Military Inspired iPhone Case? This post is dedicated to Independent Fashion Bloggers project #61: "Be Uncommon." The goal of the project is to use a fall trend to inspire an iPhone case design. So I started thinking what would I want from an phone case. It was no surprise that the dominate function is protection, and what makes you feel more protected than the U.S. Military? 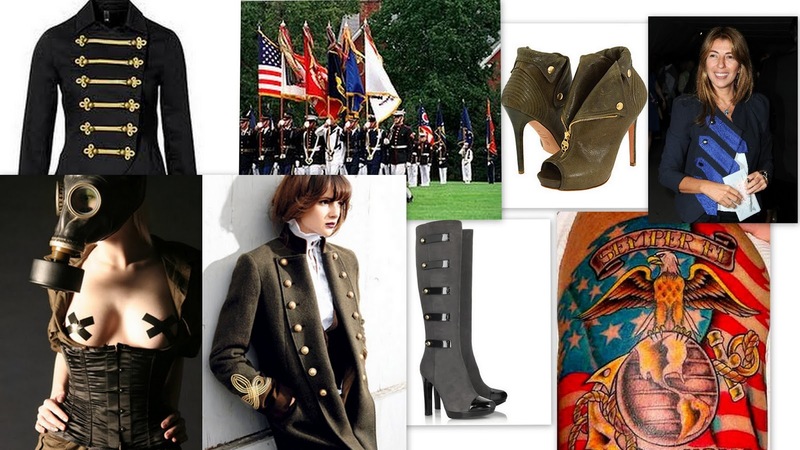 So I became inspired by the military trend, which is so perfect for fall. Military jackets and shoes are structured and give an edge to any look. The trend is great for the girl who has a strong aesthetic, and who likes to get noticed. When designing this phone case, designers think of dark blues and greens. There should also be lots of straps and buckles to reflect the military trend. Designers may want to use a darker shade to border the case to pull the look together. This was such a fun project, let me know what you guys think of the design.